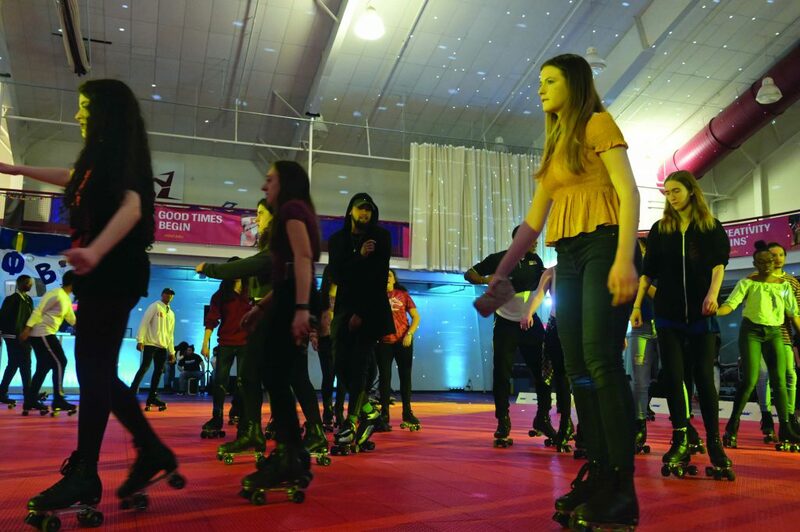 Students filled the floor for Rider’s first Roll Bounce, which transformed the Student Recreation Center (SRC) gym into a retro roller skating rink. 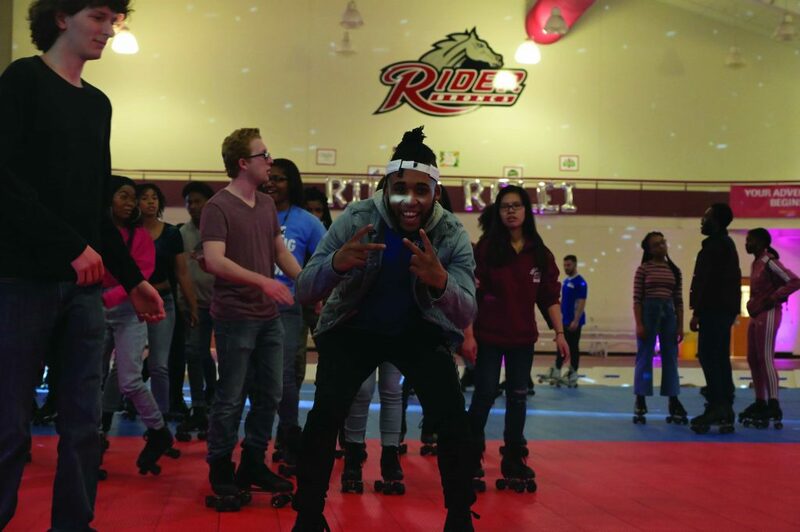 Rider students got groovy on March 29 during the Student Entertainment Council’s (SEC) Roll Bounce. The Student Recreation Center (SRC) courts were transformed into a retro roller skating rink. Skates were provided and a DJ set the mood for the fun night. Sophomore musical theater major Taylor Ruffo was excited about the new event. Junior musical theater major and Executive Vice President of Special Events for the SEC, Anna Sanzone, said joining the organization has been a defining part of her college experience. Since then, Sanzone has been involved in planning the annual Cranberry Fest, the R Factor Holiday Show, collaborations with 107.7 The Bronc and has helped other board members with their events. One of the biggest responsibilities of her role in the SEC is to help put on the fall concert in the beginning of the academic year. This year’s concert featured performers PnB Rock, Young M.A. and Flipp Dinero. “We were in contact with agents and food coordinators to make the long-awaited fall concert what it was when the day arrived,” she said. According to Sanzone, the idea for Roll Bounce was conceived by SEC President Shemar Givens. On April 12, the SEC is hosting its annual Rider Rock Fest, and this year’s fest will feature “Broncfire” fireworks, food vendors, games and live music. Similar to Roll Bounce, students will have another chance to get active with a campus-wide Kick Ball Game on April 13. The SEC will also be celebrating the upcoming renovations being made to Cranberry’s and the Pub by hosting an all-requests night to celebrate the upcoming changes and have “one last hurrah” on April 26. “This evening will be before finals to chill and have your favorite song played that night and celebrate the pub as we know it,” Sanzone said.